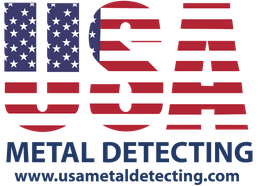 The best deals for all your metal detecting needs! Click the logo or button below to start saving! The Ohio Detectorists Association (ODA) is a club of avid metal detectorists. We represent members from Southwest and Central Ohio. We are located in Waynesville between Dayton, Cincinnati and Columbus Ohio. 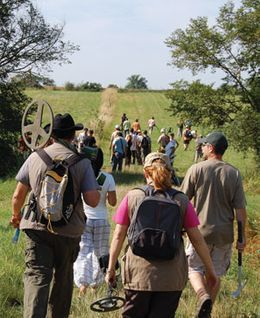 The interests of our members span the entire range of metal detecting, including coin shooting, park hunting, relic hunting, and everything in between. We are all about saving history through the use of metal detectors. We are a metal detecting group only! Some of our members are novices, and some are experts, but all are willing to share their experiences and metal detecting tips, and help out others who are just starting out in the hobby. Ohio Detectorsits Association (ODA) is heavily involved with the community finding lost valuables for folks in our area, offering metal detecting services to Law Enforcement, and working with Historical Societies and local museums through our exclusive partnership with "In Search of History". You are more than welcome join us! Simply contact one of our club officers to get a welcome kit and invite to our next meeting. Copyright © 2018 ODA All Rights Reserved.